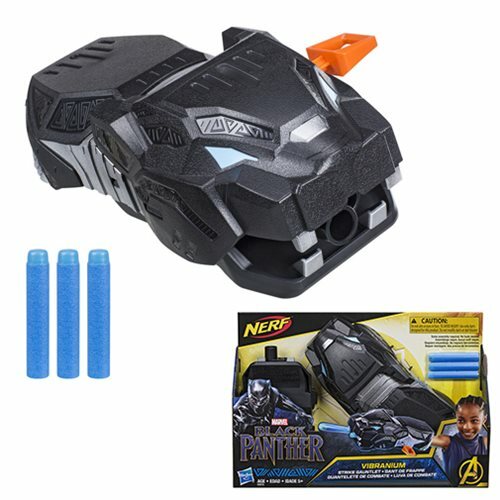 Kids can imagine blasting into action like their favorite heroes from the Marvel Black Panther film with the Vibranium Strike Gauntlet, featuring Nerf-powered, projectile-firing action! Gauntlet is designed to look like the head of a panther and includes 2 Nerf darts so kids can load the projectiles and get ready to blast! With the Black Panther Vibranium Strike Gauntlet, kids can imagine gearing up like their favorite warrior heroes and charging into combat.